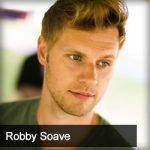 Jason Hartman talks with Robby Soave, associate editor at www.Reason.com and author of the new book Panic Attack: Young Radicals in the Age of Trump, about what on earth is happening on college campuses these days. There are more and more protests trying to shut out speakers that students don’t agree with, and professors are becoming terrified of their students accusing them of any little misstep. Jason and Robby explore this phenomenon and what may be done about it to cure the ails.